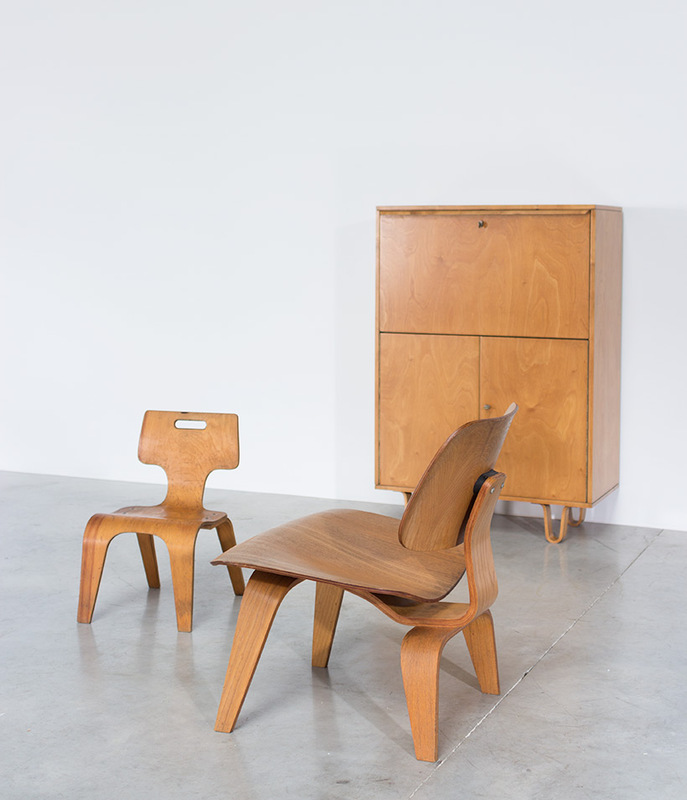 Charles Eames plywood chair in Calico ash wood with shockmounts. Model LCW. Circa 1945. Produced in the war years by Evans Products. With markers stamp “Evans Molded Plywood Division, Evans Products company”. Chaise en bois courbe, modele LCW. Conçu par Charles Eames pour Evans Products. Vers 1945. Fin de la Seconde Guerre mondiale. Chaise Estampillé “Evans Molded Plywood Division, Evans Products company”.